The Monster High™ cheerleaders know how to get fans screaming! Take Frankie Stein™ doll to the field for some cheerleading fun. She wears a clawesome cheerleader look and has a flag and bullhorn to really get the crowd in a roar. 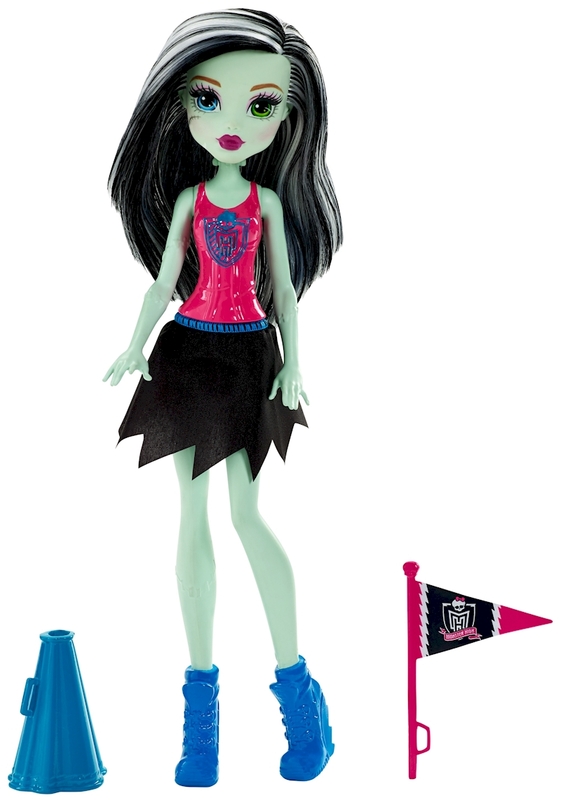 Frankie Stein™ doll, daughter of Frankenstein, is stunning in a red top with white Monster High™ shield and ragged black skirt with blue sneakers. Play out sporty stories or capture uhhh-mazing cheerleading moves. Collect all of the Monster High™ cheerleading squad to really get audiences yelling (each sold separately, subject to availability). Includes Frankie Stein™ doll wearing fashion and shoes. Doll cannot stand alone. Colors and decorations may vary.